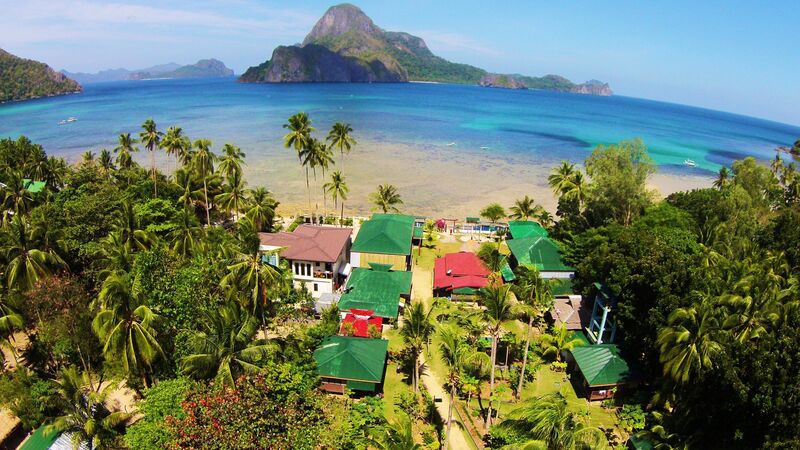 Caalan Beach Resort is right on the ocean, with a great view of downtown El Nido, Cadlao Island and Caalan Beach. 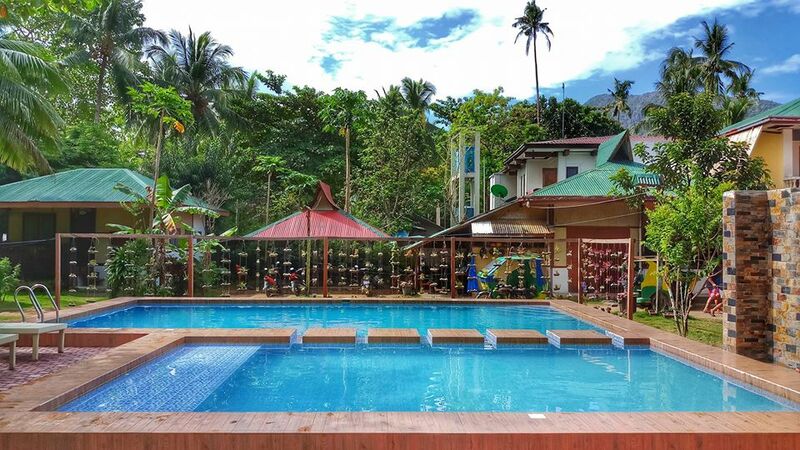 We’re located a 10-15 minute walk from downtown El Nido, away from the noise and bustle of town. We have 12 rooms, and have been family-owned and operated since we opened in 2006. We just finished constructing two pools in our garden area. The children’s pool is 1 meter deep and has an underwater shelf that’s perfect for the youngest children to lounge. The adjacent adult pool goes from 1-1.5 meters deep. You can book a room (or boat tour) directly through our site. Our island hopping boats leave right in front of our resort. Click here to check for availability, and to book a room online. * Members of our staff can speak English, Tagalog, Japanese and Korean.